The ability of an inventor to profit from an invention for a limited time, while also sharing the advances with the world to further knowledge, is the genius of the patent system. The availability of patent protection has done much to advance the economy of the United States and other nations that have shown respect for property rights, including intellectual property. Without that option, advances in knowledge will tend to be held as closely-guarded trade secrets, not published knowledge, which was one of the key characteristics of the Medieval Ages and earlier IP-deprived times. For this reason, we should be concerned at trends in the US where patents are increasingly under attack in the courts and where the ability to get patents in a reasonable time is increasingly difficult at the USPTO. Innovation fatigue due to inadequate intellectual property rights and property rights in general occurs in many other nations today, and is strongly correlated with economic difficulty in such nations. Hernando de Soto, a Peruvian economist and winner of many awards such as the 2006 Innovation Award from The Economist for the promotion of property rights and economic development, has shown that lack of property rights has been a key factor in keeping poor nations poor. It is respect of property rights that creates the means for men to be equal in opportunity. Intellectual property rights are part of that, and when they are in jeopardy, we should be concerned. In Brazil, for example, a nation with tremendous potential for further economic development, recent government actions related to a trade dispute with the US over cotton threaten to reduce the value of US patents held by people in Brazil. In “Brazil Close to Declaring War on US IP” over at IAM Magazine, we read about the dangerous actions being taken by the Brazilian government. There may be many long-term costs for whatever short-term gains they obtain. This could harm innovation and economic development in that nation. One example in the US of the attack on patent rights comes from the recent court case Association for Molecular Pathology v. USPTO in which a body of patents obtained by Myriad Genetics (NASDAQ:MYGN) has been declared invalid by a judge using dubious arguments presented by the ACLU. I am especially troubled that the patents were declared invalid for not treating patentable subject matter under 35 U.S.C. § 101. What is most alarming about Judge Sweet’s opinion is his characterization (or more appropriately mischaracterization) of the CCPA’s Bergy case. Judge Sweet makes numerous quotes from Judge Rich’s opinion in Bergy on how 35 U.S.C. § 101 should be interpreted. But what Judge Sweet neglects to point out is that Judge Rich ruled in Bergy that a biologically pure culture was deemed to be patent-eligible under 35 U.S.C. § 101. Why did Judge Sweet neglect to point out this highly relevant fact? Instead, if the holding in Bergy is considered in appropriate context, it supports Myriad’s “isolated” BRCA1 and BRCA2 gene sequences as being at least patent-eligible under 35 U.S.C. § 101 because they don’t exist in nature and cannot exist without significant human intervention. . . . In the end, it is my considered opinion that Judge Sweet knew the result he wanted to reach (i.e., invalidate Myriad’s patents), and simply cobbled together a justification for it. (Treating the claims in Myriad’s patents are a “lawyer’s trick” also doesn’t suggest impartiality.) If nothing else, there is enough of a dispute about the essential facts needed to reach Judge Sweet’s conclusion to deny the plaintiff’s motion for summary judgment of invalidity based on 35 U.S.C. § 101. That Judge Sweet needed to spend 152 pages trying to justify his grant of plaintiff’s motion for summary judgment speaks volumes about why this grant was inappropriate. Years ago in exploring emerging technology in consumer products, I was impressed with the development of the foaming pump from Airspray N.V. This pump has become widespread, allowing liquid soap and other solutions to emerge from a pump dispenser as a rich foam without the need for propellants. Cool product. I’ve also looked over some of the associated patent estate and have been impressed again. Robert Brands was the CEO of Airspray and took that pump to the world. Through his experiences at Airspray, then at Rexam after they acquired Airspray, and now as an innovation coach, Robert knows a lot about real-world innovation. He has shared this knowledge in a new book, Robert’s Rules of Innovation: A 10-Step Program for Corporate Survival . Robert’s Rules of Innovation offers a fresh perspective on innovation processes and approaches from an experienced leader who knows what it takes to bring products to the market. This book draws upon not only his experience, but the experience and wisdom of many others that he has turned to for various sections of the book. developing intellectual property in “Patently Obvious,” the title of Chapter 6, which offers basic information on patents, trademarks, and copyrights. An innovation checklist is presented in Chapter 8 to summarize some of the teachings. Appendices provide detailed flow charts on new product development processes that may be helpful to those implementing such systems. The book products a broad and useful overview from an experienced entrepreneur and consultant in innovation and new product development. The focus may be heavy on the consumer products side of innovation. The beginning-to-end scope of the book also means that information tends to be at a broad, general level. Some of the bullet points may leave readers wondering exactly what is meant or how to follow the instructions. While some of the information, naturally, is already out there in the literature, I liked the selection of 10 principles to focus on and especially appreciated the contributions in the chapters on the innovation audit and multinational teams. Robert’s experience with multinational teams can provide a helpful foundation for others in this increasingly global business environment. The book may be most helpful to corporate leaders and entrepreneurs launching companies focused on innovative new products, but there are gems for innovators and champions of innovation at all levels. Congratulations to Robert Brands for this addition to the literature on innovation! Nussbaum on Design (BusinessWeek) has a though-provoking column that mentions several innovation principles from designer Diego Rodriquez. One of these is “Killing good ideas is a good idea.” That’s the kind of counter-intuitive blasphemy that merits reflection. Of course, developing good ideas is essential, but without the killing phase, good ideas can lead to “idea cancer.” Ideas from late-stage idea cancer strangle many organizations and many minds–when ideas grow without control, unregulated and unchecked by proper objectives and reality. Ideas can metastasize and choke the arteries of business, cloud the mind, and weaken all life support systems in the end, unless they are regulated and killed at the appropriate time. So many great failures begin with good ideas, and lots of them. Innovation is often more about execution and planning than idea generation. A weak idea, implemented ITERATIVELY with the right talent, can be adjusted based on feedback from the system (e.g., the market) and become successful. Even mediocre ideas can beat good ideas if there are great skills, good leaders, and good execution. But add an occasional great idea to the mix and the success can be remarkable, if the dream isn’t cluttered with lots of distracting good ideas along the way. In recent years, scientists have been astounded to discover that the visible universe represents just a tiny fraction of the matter and energy that governs the cosmos. 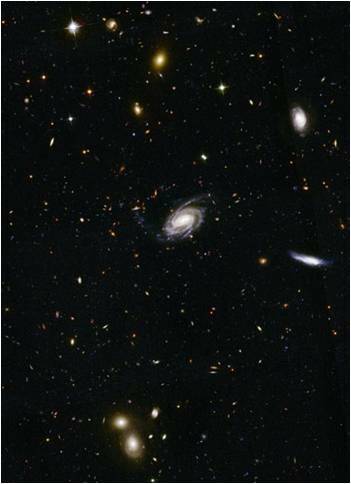 Based on the motion of stars and galaxies, strange “dark matter” must be present, increasing the gravitational tug on celestial bodies more than can be accounted for by visible matter. Further, based on the surprising discovered that the universe is expanding, not contracting under its own gravitational pull as expected, scientists have proposed that a strange, repulsive “dark energy” fills the cosmos countering gravity. The combined effect of these unseen entities, dark energy and dark matter, are so great, that they account for 96% of the matter and energy of the universe. In other words, the visible universe that we used to think is all there is actually is only a tiny fraction of what is there. What we see in the “cosmic org chart” accounts for only 4% of what really influences the cosmos. It’s that way in the business world. too. Companies can create tidy org charts and draft neat process maps to describe how they work, but the unseen reality outside the visible systems may be what really dominates operations. Increasingly, experts in knowledge management are learning that easily overlooked and often invisible intangibles can dominate corporate value and performance. 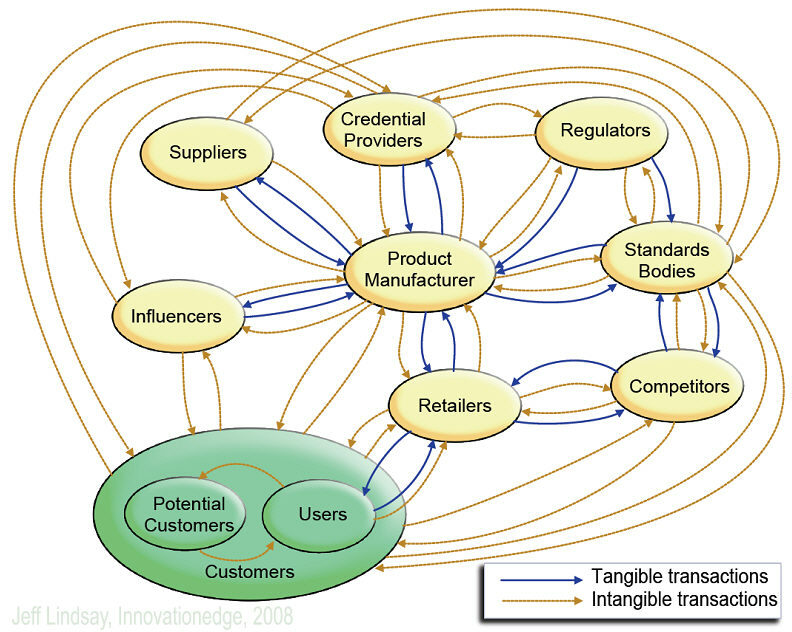 Numerous intangible transactions may be essential to the success of a company, including casual information sharing between trusted friends, helpful exchanges of tips and best practices between employees or between external partners and internal employees, or loyalty that is gained when people are included in decision making. The invisible linkages and hard-to-observe exchanges in a company’s internal an external ecosystems may be the real engines of value creation, regardless of what is on a process map or workstream. By not understanding the value of such intangibles, corporations can easily break key linkages and crush subtle engines of value creation. Many companies focus on their “value chains” – a term popularized by Michael Porter in his seminal 1985 work, Competitive Advantage. The value chain describes the linear chain of events as materials and products move from sourcing through manufacturing and out to the market. It is a highly useful paradigm for manufacturing and was highly applicable to much of the economy in the era when Porter was doing his research. But since that time, the explosion of the knowledge economy has changed the way we work and create value. One of my favorite authors, Verna Allee, a revolutionary expert in knowledge management, has detailed the move from the value chain to modern ecosystems and Value Networks in her book, The Future of Knowledge: Increasing Prosperity through Value Networks (Burlington, MA: Elsevier Science, 2003). Verna Allee and Associates have introduced a clever, methodical tool called Value Network Analysis for analyzing and visualizing the transactions of intangibles and tangibles that affect a business. After my training in Value Network Analysis by Verna and her associate, Oliver Schwabe, an exciting new perspective on business and human behavior opened up. I have been highly impressed with the power of Value Network Analysis and the insights that it can rapidly deliver for a company. The Value Network Analysis work that Innovationedge has done as part of larger projects for some of our clients has been a very exciting part of my work since joining Cheryl Perkins’ exciting company. We value the tool enough that we had Verna Allee speak at the 2008 CoDev conference to introduce other business leaders to the basic concepts behind Value Network Analysis. I’m very pleased to see a community emerging of people using Value Network Analysis and developing exciting tools for it. Part of the initial output in Value Network Analysis are maps, called “holomaps,” showing human entities as nodes and transactions of tangible or intangible items between them. There is much that can be learned from such holomaps – a topic for later discussion. For now I’ll show you two sample holomaps I created to illustrate simple ecosystems. 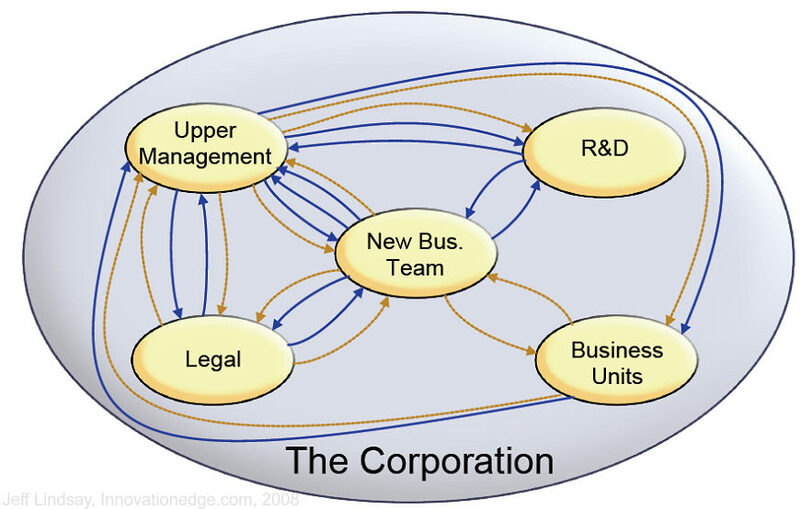 One shows several external nodes around a manufacturer and the other shows some structure within part of a corporation. For simplicity, the maps lack all the labels explaining the transactions. One interesting approach is to use the “holomaps” you get in Value Network Analysis as tools for “what if” scenarios to explore what new partners might do for your business model, or what new business models might do for your ecosystem. Using holomaps to explore innovation ecosystems is a particularly fruitful approach for those doing open innovation and wondering who should be in their external ecosystem. We have further information on this topic that we’d be happy to share with you. It’s certainly something you should look at to understand how business really works. One of the real champions of innovation and entrepreneurship, Brian Fried, has created a successful new radio program to meet the needs of inventors and entrepreneurs: Got Invention Radio at GotInvention.com. It’s a one-hour show every Thursday night at 7:00 p.m. CST (if you’re in China or Singapore, for example, that should be 8 a.m. Friday morning–the perfect way to start your day!) I’m the next guest this Thursday night. I’ll be speaking about intellectual property, with practical tips for inventors who want to get quality patent protection. There are some pitfalls to avoid and some tips you need to know about. A quality patent can make all the difference for the long-term success of a product or business, so tune in and join the conversation. At least two callers will receive free copies of the book, Conquering Innovation Fatigue. Please mention this blog when you call! Go to Gotinvention.com/shows and click on the green area in the upper right-hand portion of the screen to launch your media player and listen. To be a caller, dial 877-474-3307. Please join us this Thursday night, March 18. The following week, March 25, you can hear Cheryl Perkins, CEO of Innovationedge. Don’t miss that one, either! Hey, innovation fans, thought I’d share with you a simple innovation you can use if you like to freeze fruit. I found some delicious pineapples on sale at Aldi for 99 cents and bought several. Chopped them up into nice pieces and froze them. Challenge is, they stick together and form a solid frozen mass. Commercial frozen fruit can be agitated or separated during freezing to prevent welding of pieces together, but how can a consumer do it? I bet this is already out there, but a handy solution I came up with is to coat the fruit with a little corn syrup before freezing. Depending on how cold your freezer is, the fruit may still become welded together, but it’s much easier to loosen the mass into individual pieces. Just enjoyed a delicious chunk of frozen pineapple, courtesy of my corn-syrup pretreatment method. OK, not much of an innovation, but still, enjoy! One of the nine major innovation fatigue factors that we treat in Conquering Innovation Fatigue is theft of the invention, of the IP, or other assets. One of the most painful and most common sources of theft of an invention is from partners such as vendors or customers. 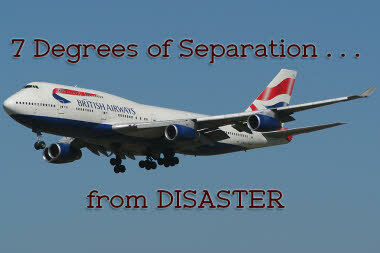 One apparent example is the dispute between Woodstream Corp. and Agrizap, Inc., a case that went to district court and then on appeal to the Federal Circuit Court. Again, there are always two sides to these stories, and we encourage people not to judge losers of legal battles too harshly, for truth and justice are not always the product of courts. But the apparent facts of the case, as reported in public documents, illustrate the kind of problems that many inventors face and need to be protected against. Agrizap, Inc. had developed a rat killer based on electrocution. It was patented in US Pat. No. 5,949,636. Woodstream, the maker of the Victor® brand pest control products, approached and developed a partnership with Agrizap. During negotiations under a non-disclosure agreement, Woodstream sent samples of the Agrizap product to Chinese manufacturers. Agrizap learned of this and challenged their motives, but a vice president of Woodstream assured Woodstream that the action was simply to obtain a price quote for use in negotiation with Agrizap and was permitted under a particular section of the non-disclosure agreement. However, it appears that they were looking for help in making their own product. Woodstream soon licensed the patent from Agrizap to allow Woodstream to sell the product to a limited group of companies such as Home Depot and Lowe’s. Agrizap agreed not to compete in those markets. They provided Woodstream with products, not knowing that Woodstream was working on developing their own version of the same. Within three years of the partnership, they were competing directly with Agrizap with their own version of the product. In this case, unfortunately, the activities of Woodstream forced Agrizap to sue and thereby put their patent at risk. Had Woodstream been more forthcoming, Agrizap might have been able to license the patent more broadly or continue using it to generate revenue. One can argue that eliminating an invalid patent is a public service, and that may be the case, but the invalidity is painful when it comes from rules that change midstream, adding new uncertainties for patent owners. And in any case, the apparent misrepresentation by Woodstream resulted in substantial loss for Agrizap. It gave Woodstream several years of market penetration before they launched their own product, when it would have been much better for Agrizap–had they known of Woodstream’s intent–to simply enter the market directly and build momentum before Agrizap had time to reverse engineer their product. No one wants to form a partnership with someone who secretly plans to turn around and compete directly against you. Choose your partners and friends carefully. The ones with poor ethics will usually lead to regret and loss. Make sure you have solid documentation of your agreements and understandings, in addition to strong patents, in order to protect your interests in spite of the uncertainties of law. What are the biggest technologies to focus on? With some 800 to 1,000 patents within A*Star to tap on, new Exploit Technologies CEO Philip Lim would be hard-pressed to name a few. Still, gamely, he does point out a couple, during an interview. One area is nano-imprinting lithography (NIL), a manufacturing process that is set to bring many benefits to making electronics that control, say, the liquid from an inkjet printer, or even for biomolecular sorting devices in the emerging bio-sciences equipment market. Another area is ultrawideband (UWB) technology, a radio technology that promises to transfer audio and video over the air with speeds that are more common on wired connections. With it, hi-fi equipment would one day do away with messy cables used to connect them together. Taking over from long-time A*Star stalwart Boon Swan Foo, Philip says his main task is to group together complimentary expertise in the hottest fields, so as to come up with more products that can go to market fast. He also intends to incentivise people to play as a team. By combining knowledge of market requirements, as well as the expertise that A*Star has, Exploit can help map out emerging and potentially viable areas which Singapore can focus on, he says. For example, with UWB, the expertise of two A*Star institutes – the Institute for Infocomm Research (I²R) for its UWB design, and the Institute of Microelectronics (IME) for its expertise in manufacturing electronics – can easily be combined. “We want to be more outcome-focused and customer-focused in the way we do things,” he says, referring to a more streamlined approach to getting technologies out from the lab bench to retail shelves. The dollar value of licenses made possible with Exploit, he notes, does not count the multiplier effect of the entire value chain of a technology. For example, technology behind a simple, low-cost keypad can be used in a much more expensive handphone, and has more value than its mere licensing fee. “If we can generate ‘economic outcomes’, like sustainable innovation and more jobs for Singapore, then we’ve done our jobs,” says Philip, of Exploit. Economic outcomes are what it’s all about. Philip wisely recognizes that successful tech transfer of government-funded R&D can result in long-term economic value for Singapore. They are focused on a long-term plan that will bring more companies and more jobs to Singapore to take advantage of the talent, the technology, and the culture of success that is being crafted. One of the challenges for commercialization success in the Singaporean model will be continually crafting a portfolio of not just patents, but know-how and other intellectual assets that create synergy with the marketing story that fits the technology and business opportunities being developed. The marketing perspective needs to be brought into the technology plans and the IP strategy to create portfolios that encompass winning business models and can quickly give a partner a competitive advantage. The world beyond 2010 increasingly will rely on ecosystems of partnerships for success, united by the energy of clever business models in which marketing savvy and IP prowess go hand-in-hand. A*STAR and Exploit Technologies have the vision, and they are continuing to build the discipline and partnerships to make it happen. I look forward to watching this story unfold in the coming years. Congratulations to Philip Lim and Exploit Technologies, and best wishes in your path forward to innovation success! The latest issue of Consumer Goods Technology has a story that indirectly reveals some important secrets of successful innovation. The article is the cover story by Alarice Padilla, “Game-Changing Innovation: The Maker of Louisville Slugger Revolutionizes the Sporting Good Market with Bionic Glove Technology,” which describes the rise of a remarkable new glove that gives athletes better control. 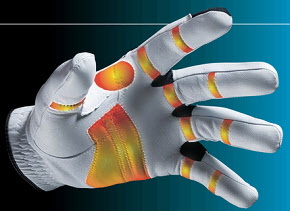 The glove has a unique padding system that fills recesses in the fingers and palm to give better contact with what the hand is holding. This results in a better, less stressful grip. What I’d like to emphasize is that this innovation was the result of open innovation that began with a random encounter. Bill Clark of Hillerich and Bradsby Company, the company behind the Louisville Slugger and Powerbuilt Golf, was visiting the Louisville Slugger Museum when he met James Kleinert, a famous orthopedic hand surgeon. They began talking, and this would later lead to collaboration and the successful introduction of the only sports glove on the market designed by an orthopedic surgeon. The real secrets for success behind this story, in my opinion, involve efforts to build and maintain relationships. First, Bill Clark wasn’t sitting at his desk. He got out into an environment where he could meet outsiders that might share some interest in the kind of products his company made. Then he took the initiative to talk with others and learn from them. When he found someone interesting through a chance encounter, he obviously took the initiative to follow up and keep that relationship alive long enough to explore the possibility of learning from or working with the new contact. I wish more had been reported on these steps, but it’s clear that it began with a seemingly random encounter enhanced with follow-up and and a willingness to collaborate for innovation.